Explore the unique landscapes of Maui as you visit Haleakala Crater, the famous Iao Needle, and the charming Makawao Town. Step foot on the famous Mt. Haleakala and witness some of the most stunning panoramic views in all of the islands. As you head down from the crater, soak in the scenic vistas as you make your way to the lush green Iao Valley State Park. This full day tour will give the perfect taste of the "Valley Isle!" Drive up to the visitors center at the 9,740-foot mark of this dormant volcano and the tallest peak on the island of Maui. Explore this natural rock pinnacle surrounded by the walls of a volcanic crater. 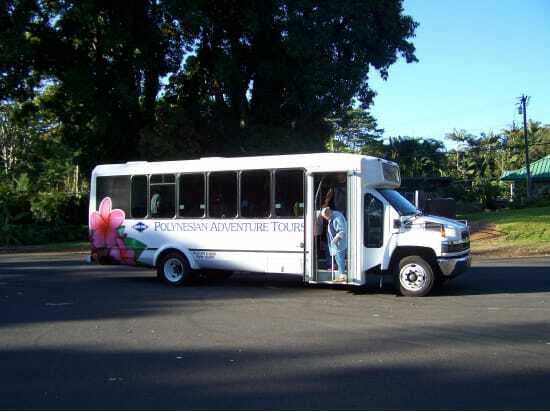 You will be picked-up in a spacious Premier Mini Coach by Polynesian Adventure Tours. A representative will be calling your name to board the bus. The bus is not permitted to pick-up in residential areas or at B&B's. Please dress warmly as temperatures fluctuate. Definitely! This is a great way for your family to see the majestic Haleakala Crater. But please make sure to bring warm clothing, as the weather on Haleakala is unpredictable and may get cold quickly. What is the price range of the restaurant we will stop at? A no-host lunch stop will be made at Casanova Italian Restaurant in Makawao! Lunch prices range from $12-$25 for an entree. The lunch location is subject to change. Yes, you are welcome to bring your own lunch, but please do not eat or leave any trash on the bus. Incredible experience! Well worth the time, good value for the money. Great tour, Judy our tour guide was very knowledgeable.